Even though it takes a lot of work, owning a small business can be a rather rewarding and fulfilling venture. While you’re getting your small business up and running, be sure to take out some time to research the tax side of being a small business owner. Having help with tax preparation in Chandler for small business owners and individuals is always the easiest way to make sure you have your ducks in a row. When tax season rolls around, there are specific documents that you’ll want to make sure you include with your tax return. You’ll need to be sure that you fill out a Form 1040 if your business is a limited liability corporation, LLC, or a sole proprietorship. You’ll also need to complete Form 1040 Schedule C and Form 1040 Schedule SE in order to document all of your business profit and loss and calculate your self-employment taxes. You and all business partners involved in your business will need to fill out individual Form 1040s and Schedule SEs. All business partners will also need to complete a Form 1065, which is also known as Schedule K, in order to note partnership profits and losses. You’ll need to complete a Form 1120, also referred to as a Schedule K-1, if your business is set up as an S Corporation. This specific form is also used to note your profits and losses. Make sure that each shareholder fills out an individual form so that they can properly file their personal income tax return. If your business sends periodic payments to the IRS throughout the year, you’ll need to fill out Form 8109 in order to show which tax payments you’ve already made. One good thing about submitting a Form 8109 is that is can potentially lower the amount of taxes that you owe. 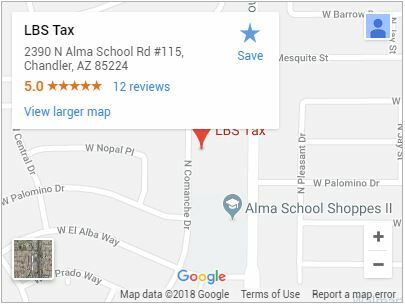 Don’t hesitate to reach out to a tax preparer in Chandler if you ever find yourself confused while filing taxes for your small business. We offer our professional services year round to businesses of all sizes.